1967 was the year that the Canyon Cinema Co-op was born in San Francisco. Formed as a distribution cooperative for films made by members, it grew out of the itinerant Canyon Cinema formed a few years earlier by a loose association of Bay Area artist-filmmakers. The Canyon Co-Op was the west coast’s contribution to a growing international network for showing and seeing films that fell outside the bounds of polite manners, censors’ approval, and art-world decorum. In its early years operating out of apartments, an abandoned church, and a condemned building, the Canyon Co-op sent out dispatches in the form of 16mm film reels screening for audiences around the country hungering for the liberatory gospel of west coast counterculture. This program gathers key figures from of the original generation of Canyon filmmakers, presenting a selection of their works capturing the spirit of that founding year 1967. 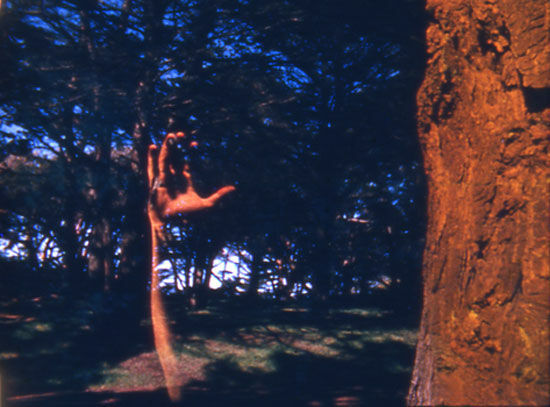 Presented in conjunction with the de Young Museum, this event is part of a yearlong series of programming in celebration of the 50th anniversary of Canyon Cinema’s incorporation as a distributor of independent artist-made film.